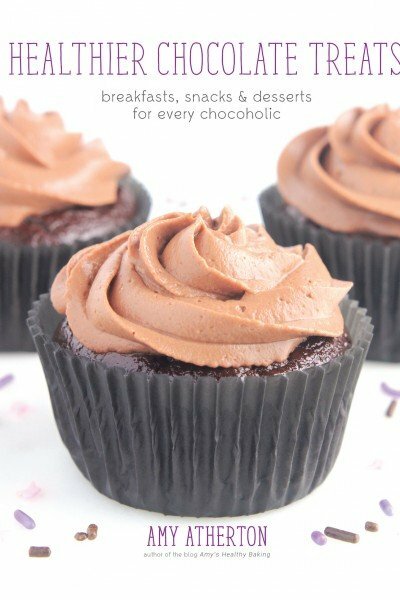 A few years ago, I was visiting my parents when I first tested this recipe. After scribbling down a general outline of the ingredients I intended to use, I turned to my dad. “Should I use the grater’s regular holes or the super fine holes for the carrots?” I asked. Hesitantly, I nodded and reached for the mixing bowls. The cookies only bake for a few minutes… I thought to myself. What if the carrots don’t soften and still taste crunchy? In the end, I trusted my dad—but still held my breath and kept my fingers crossed while the cookies baked! 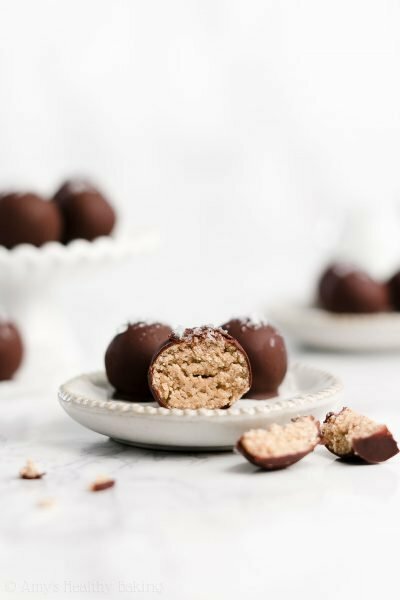 When I pulled them from the oven and we each sampled one, our eyes lit up at the same time. They were the best cookies we had ever eaten! 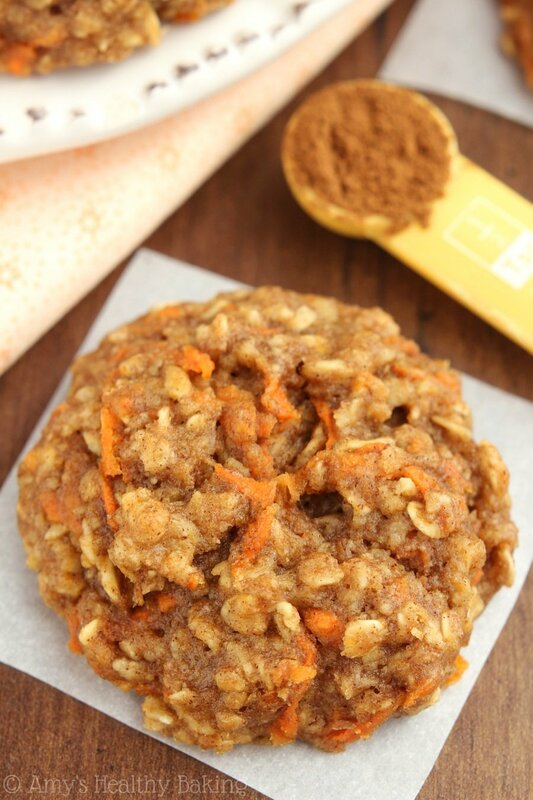 So I’m really excited to share this Healthy Carrot Cake Oatmeal Cookies recipe with you! 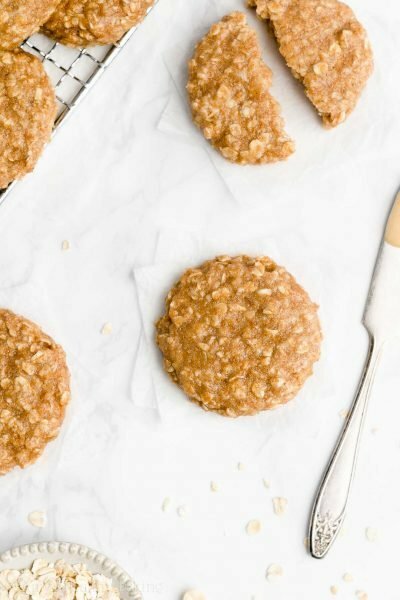 They’re soft and chewy with the same sweet and cozy flavors of carrot cake… But they’re easier to make and just 96 calories! 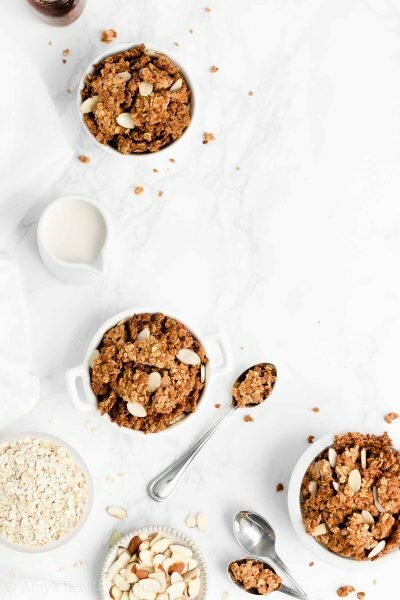 You can watch my episode below where I show you how to make these healthy carrot cake oatmeal cookies, and you can get my recipe directly beneath the video. And remember to subscribe to my TV show here, so you’ll be the first to know when a new episode airs each week! 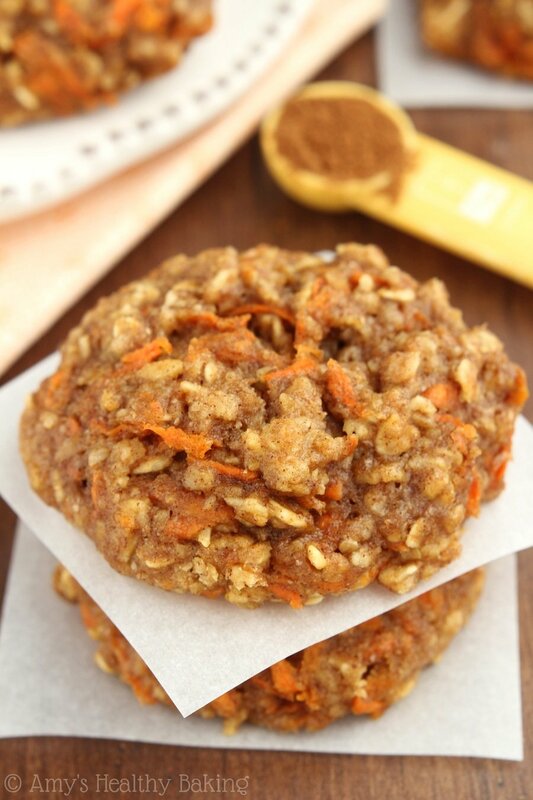 You can find my Healthy Carrot Cake Oatmeal Cookies recipe HERE! Father knows best! 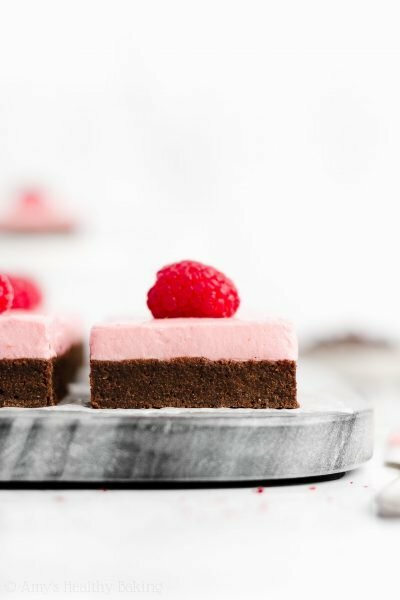 😉 Great recipe, as always (seriously, you never cease to amaze me with your fail-proof, healthier indulgence recipes). And oh yes, I always use my food scale for baking. Lucky neighbor, receiving those cookies! 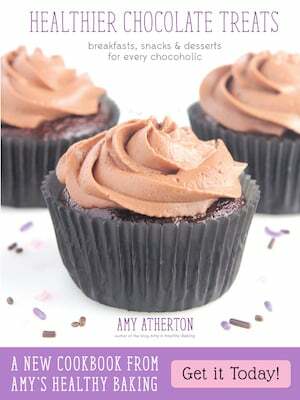 Thanks for your kind words about my recipes Giannina! I think spelt flour should work in this particular recipe. 🙂 I can’t wait to hear what you think of these cookies!